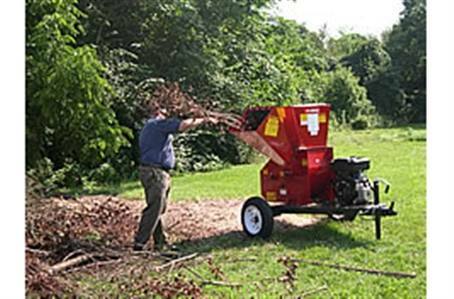 The Merry Commercial chipper-shredders by MacKissic not only offer more features but will out-perform and out-last other commercial chipper-shredders in the market. Whether it is the big SC262 or the 12PHT models, these chippers are built with the commercial/rental customer in mind. The SC262 is built with strong 7-gauge steel while the 12PHTs have 12-gauge steel. The SC262 features an internal anti-wrap sleeve to help prevent wet and heavy material from clogging the machine. This reduces downtime and maintenance. The shredder has 48 free-swinging hammers that can be reversed, thus reducing cost of replacement hammers. The SC262 is highway towable with a strong 7-gauge reinforced steel trailer. The trailer has independent flexride suspension for smoother towing and less wear on the machine. The chipper has two heat-treated chrome D2 steel blades that are resharpenable with an outside adjustable wearplate to easily maintain smooth chipping action. This is a special tool and die grade steel. The 12PHT models give you the choice between a 13.5 gross torque engine from Briggs and Stratton or an 8 horsepower engine from Honda. This highway towable chipper-shredder is small and compact yet still provides the power, dependability, and usability that much larger chipper-shredders offer. 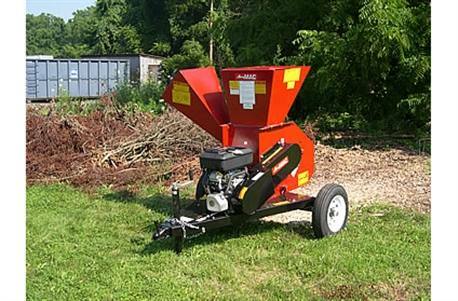 With its 24 free-swinging heat-treated hammers, the shredder pulverizes leaves, yard debris and compost. The hammers are reversible with 4 edges, saving time and effort by reducing the frequency of purchasing new hammers. The chipper features a single heat-treated chrome D2 steel blade that is resharpenable with an outside adjustable wearplate for maintaining the correct gap distance for even chipping. Chipper Hopper Opening: 12-1/4 in. x 8 in. Chipper Hopper Throat: 4 in. x 3-1/2 in. Flywheel Size: 12 in. x 1/2 in. Shredder Hopper Opening: 17-1/2 in. x 16-1/2 in. Shredder Hopper Throat: 8-1/2 in. x 4 in. Rotor Weight (lbs. ): 40 lb. Storage Space (L x Wheelbase x H): 66 in. x 42 in. x 49 in.